Eira can be used as spot, direct, or indirect lighting and thus supports flexible living situations. 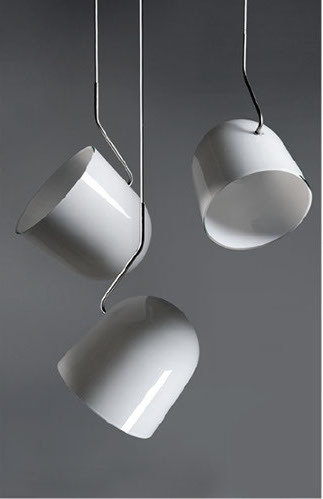 The lamp can be turned 360° on a tilted axis and remains balanced in every position. Its basic principle is the vertical shift of the centroidal axis by bending the tube through which the cable runs.